The Custom Series AC15 amplifier has two 12 inch Celestion G12M Greenback Speakers. 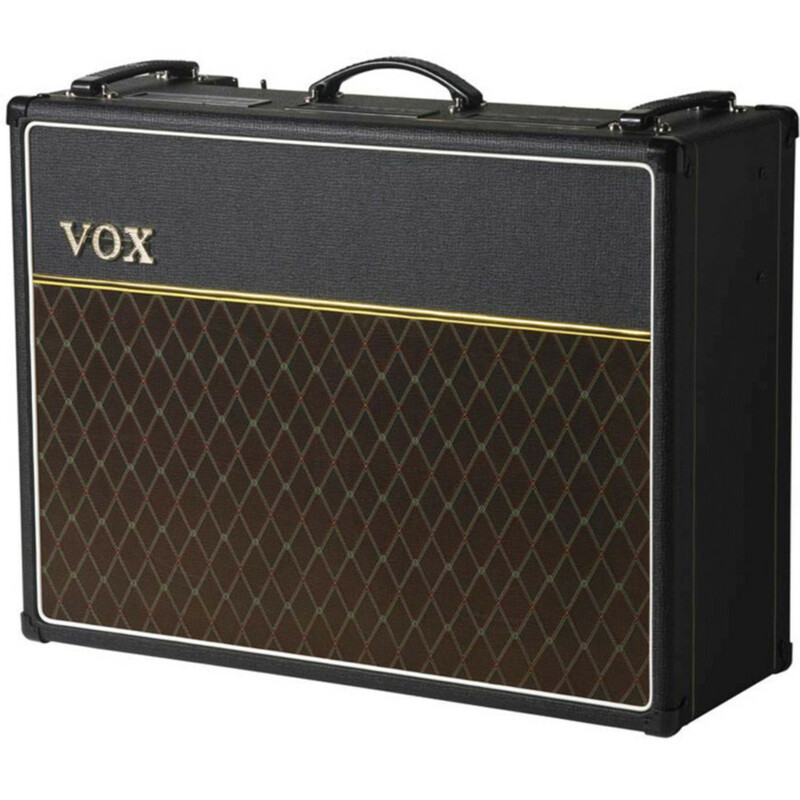 It enhances the full sound of the traditional AC15C1 and the larger spring reverb tank found in the AC30C2. 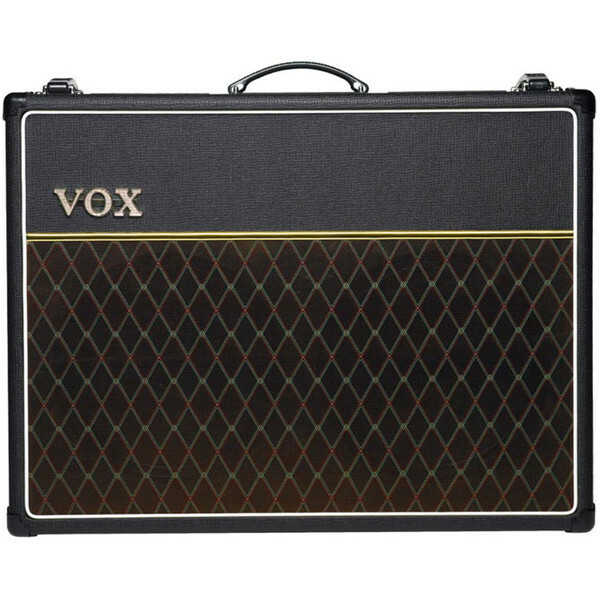 The Vox AC15C2 Twin Custom Guitar Amplifier features dual channel sound, tremolo circuitry, and footswitching capabilities. The AC15C2 Twin relies on 3 x 12AX7 dual triode vacuum tubes in the pre-amp stage, and 2 x EL84 pentode tubes in the power stage. 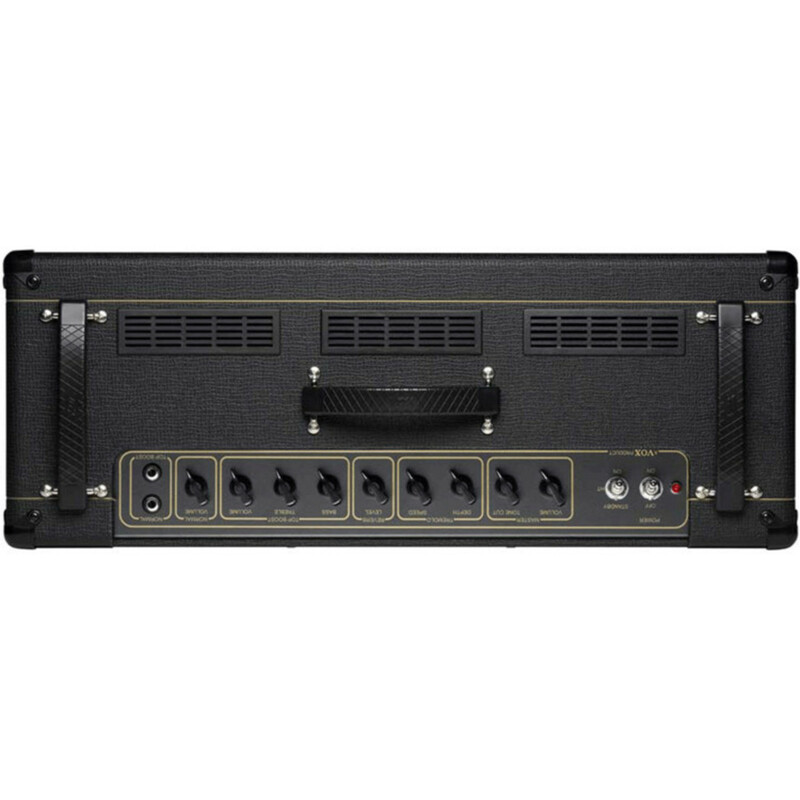 The AC15C2 features two channels: Normal and Top Boost. Both are equipped with their own Volume control, and the Top Boost channel offers highly interactive Treble and Bass tone controls. This powerful channel pairing provides an abundance of tone-crafting control. Both channels rely on the Tone Cut and Volume controls in the Master section. The Tone Cut control operates in the power stage rather than the preamp stage, allowing an additional degree of tone-shaping. The Master Volume control works in conjunction with the individual volumes of each channel to create just the right degree of gain-staging. By balancing the individual and Master volumes, the AC15C2 Twin can deliver the coveted clean VOX chimey sound or a powerful overdriven tone. The AC15C2 Twin features the VOX Classic Tremolo effect, with adjustable controls for both the speed and the depth. A warm Spring Reverb is also included on all Custom Series amps, adding spaciousness to the sound. Thanks to the AC15C2 Twin?s two-speaker cabinet size, the AC15C2 Twin uses the larger reverb tank found on the Custom Series AC30 models.